Your entry door can do more than lead you in and out of your home. It’s a chance to make a statement about your personality and style. The remodeling team at Murphy Home Improvement of Cincinnati, OH, helps homeowners create entry doors that reflect their lifestyles and boost their home’s curb appeal. For such a small area of your home, you’d be surprised how much you can customize an entry door. Transom: Add a window above your entry door—known as a transom—to let extra sunlight pour into your home. This window also gives an entry door a classic and welcoming look. Choose from a variety of patterns—curved, rectangular, grid, and more. 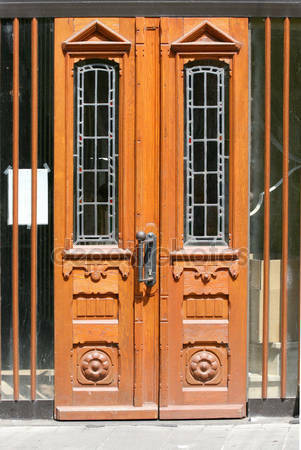 Sidelights: Windows running up and down the side of your entry door are known as sidelights. Like transoms, they welcome more natural light and create a beautiful border. Decorative Glass: The glass on or around your entry door is an opportunity to explore styles. Instead of plain, clear glass, you can add simple or complex patterns. Frost the glass for privacy or add bursts of color with stained glass. Any one of these three entry door design options is sure to add new life to the look of your home. Contact Murphy Home Improvement of Cincinnati, OH, to see how they can help you design a new entry door. Visit them on their website or Facebook page to see pictures of their home improvement services, or call (513) 922-8989 to schedule an appointment for installation today.